Cyclo or “Xich Lo” (Prounounced Sik-lo) was the most popular transportation means in Vietnam during the French colonial period, but is now a true cultural icon that represents the Vietnamese way of life. Since the French time, Cyclo was used as luxury transportation for French people in Vietnam and for a small number of Vietnamese noble at that time. Until the early 1990s, travelling by Cyclo was still very popular; and Vietnamese people found this transportation useful as it could carry two people plus goods. Apart from its capacity benefit, Cyclo was cost effective and could fit perfectly on Vietnam city alleys and narrow streets because of its small size. With the ‘motorbike storm’ in Vietnam and the increasing need of travelling further and faster, Cyclo transportation became redundant. It was then used mostly for cargo, goods, and deliveries. However the rise of tourism in Vietnam has led to the revival of Cyclo. Touring with Cyclo in the city is very interesting for foreigners who seek for an authentic and sustainable way of discovering the city. 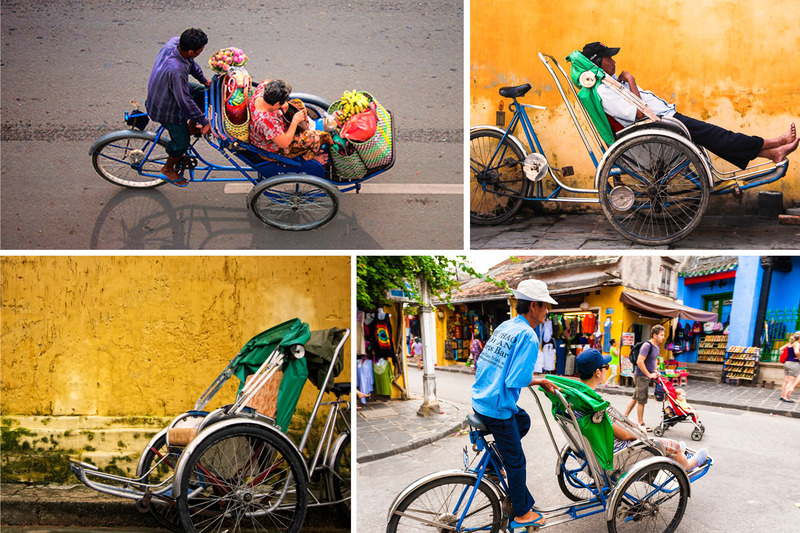 Cyclo moves slow enough for tourists to see the city and feel the local life from different angles. Additionally, it proves one of the safest transportation in the busy traffic of Saigon or Hanoi.